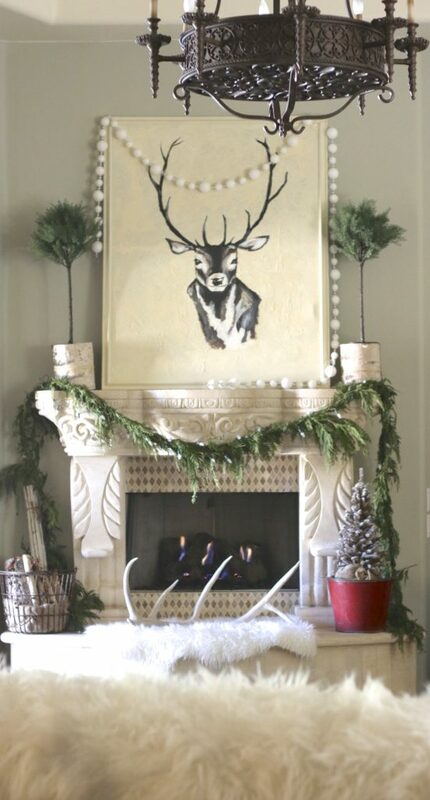 This year the theme for my Christmas decor was inspired by some twig deer I found at Pottery Barn. 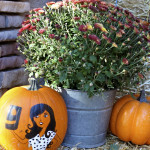 (See Post HERE) I wanted something cozy and rustic and I feeling that I was in the high country in Colorado. I needed something above the fireplace mantle to pull the entire theme together. 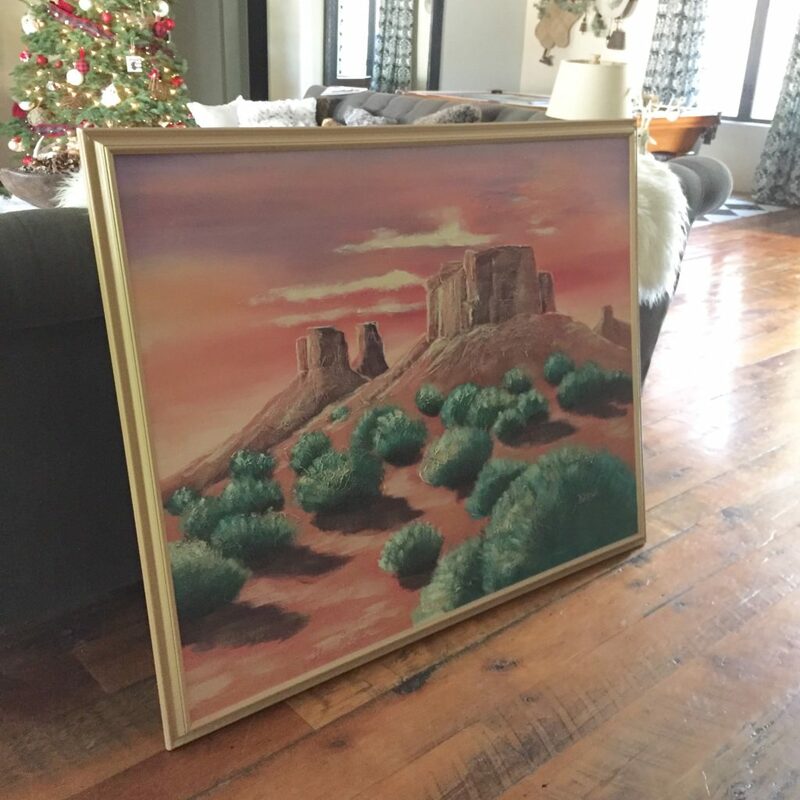 While I was browsing Goodwill looking for anything to inspire me, I came across this huge southwest painted canvas print. I know this doesn’t scream cozy cabin but it had size on it’s side and the price was right, $24.99! I had a 20 percent off coupon and my print came out to $19.99. There’s no way I could ever walk away with a canvas of this enormity for that price at a craft supply store. I was not blessed with an artistic ability so I handed the canvas off to my friend, Stephanie, along with an inspirational photo of a deer and requested the color palette to be cream and white, along with some browns and grays. A couple days later, she delivered! I had my new print in my possession and as always, she did an amazing job! It’s the perfect size and I love it’s simplicity and it’s a show piece in my family room. I hope this inspires you to think creatively when decorating and using your friend’s natural born talents as much as possible! Where did you get that amazing chandelier??? Gorgeous! 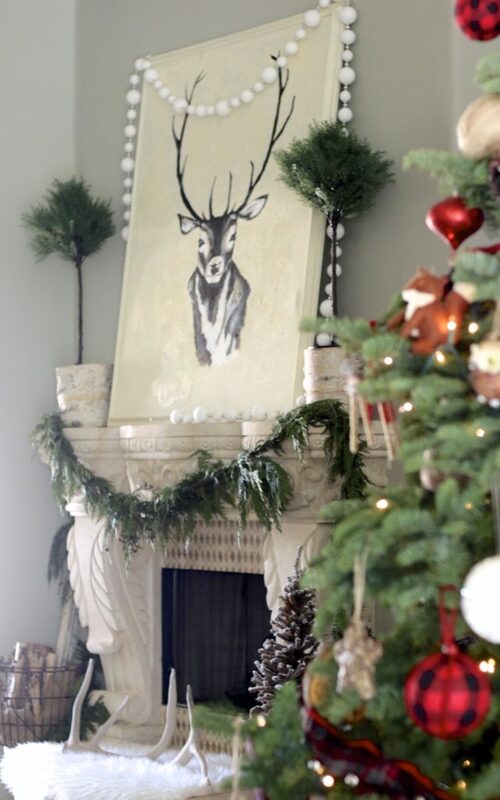 The deer looks amazing in that space. 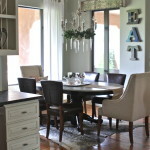 The chandelier was in our home when we purchased it and it is quite spectacular, there are two, side by side. I have no idea where the homeowner purchased it but if you Google French Round Bronze Chandelier, I’m sure it will come up. Thanks for the comment! 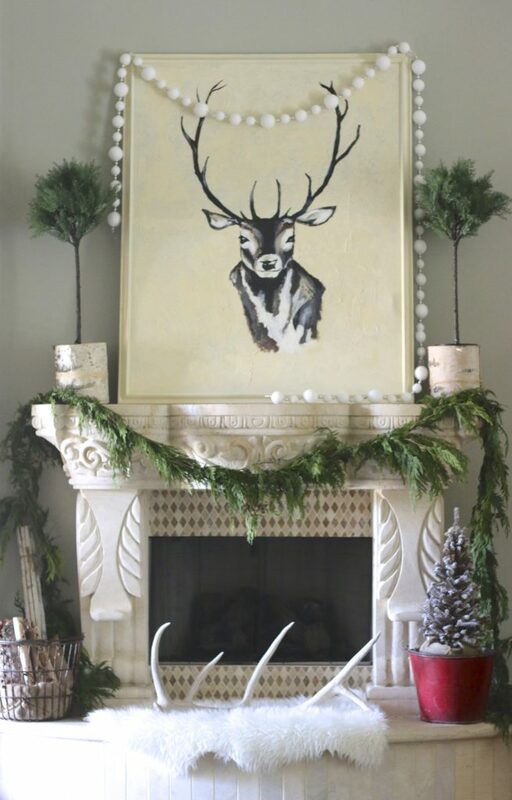 Honey, that’s not a deer, but an elk….